There are 1 cat videos tagged with jerk. 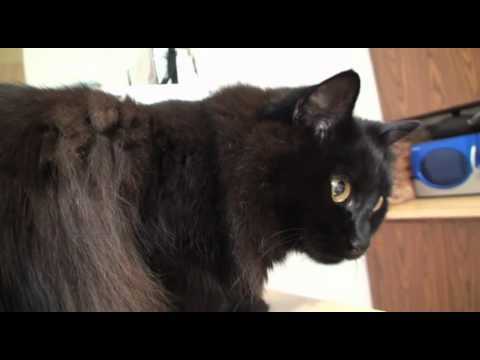 In this video, Theo, a gorgeous long-haired black cat shows us just how much he doesn't like highlighter pens. He doesn't just knock the pen off of the counter once, he does it over and over and over.